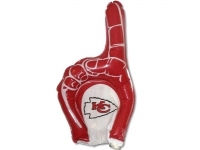 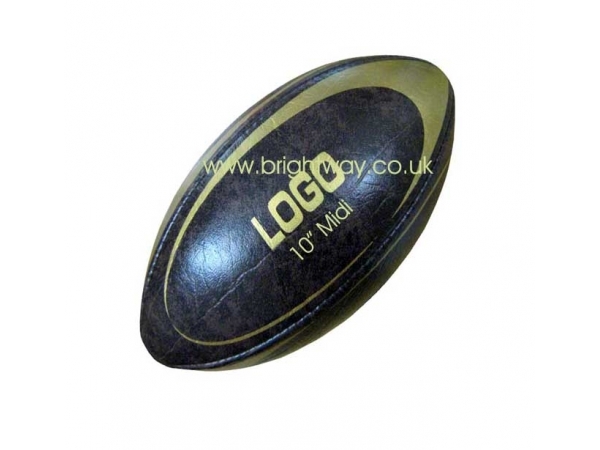 Official size 5 ,Midi and Mini Retro style Rugby Ball in PVC leather in antique textured finish with latex bladder. 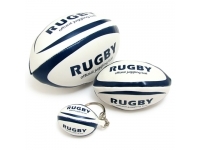 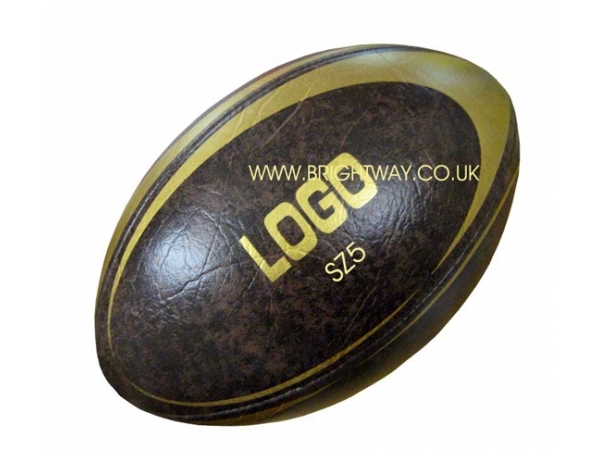 These premium looking Rugby balls are printed in dull Gold to give them a true vintage look. 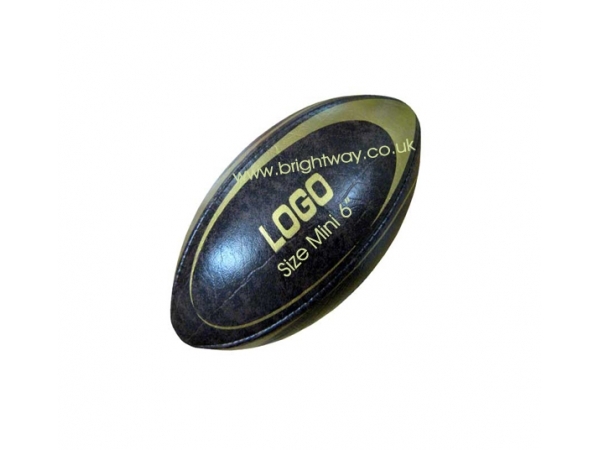 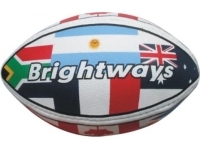 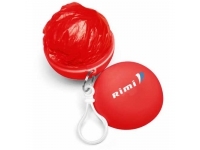 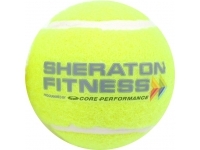 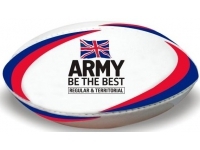 Ideal for Rugby Clubs and Premium Promotions .Rugby Balls are manufactured in our factory to any artwork /design you may require.